This Marks the Inclusion of Progress in the Annual List. FREMONT, CA-(CIO Applications- May 10, 2016) – NECS, Inc. today announced that it has been recognized by CIO Applications for 25 ERP Solutions Transforming Business 2016. “We are pleased to recognize NECS as one among the 25 Workflow Solutions Transforming Business of 2016,” said Sarah Wilson, Managing Editor, CIO Applications. “NECS' proven track record of successful client deployments in the ERP arena for food distribution demonstrates its prowess in helping customers attain unprecedented efficiency." CIO Applications features its ‘25 ERP Solutions Transforming Business 2016’ list annually in recognition of the top tech organizations helping business around the world. A variety of subjective and objective criteria were used for choosing the winners. 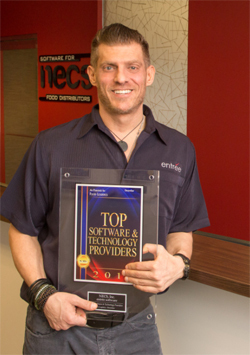 NECS specializes in Windows based ERP Software for the unique needs of foodservice distribution named entrée. The entrée system also includes an iOS / Android app for a food distributors DSR’s (Distributor Sales Representative) named the Electronic Order Pad, an Anoto Digital Pen Interface for its delivery drivers called entrée.PEN, and many more features. 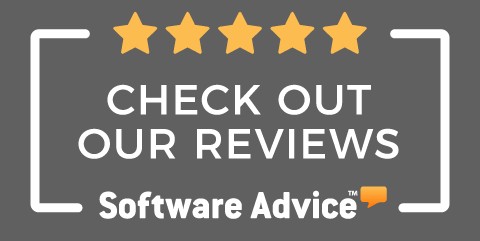 Distributors who run their operations with its Windows based entrée software are more profitable and operate more efficiently on reduced staffs.